Gagnon, Marc-André. "Société Saint-Jean-Baptiste". The Canadian Encyclopedia, 23 June 2017, Historica Canada. https://www.thecanadianencyclopedia.ca/en/article/st-jean-baptiste-society. Accessed 20 April 2019. The Société Saint-Jean-Baptiste (SSJB), founded in Montréal in 1834 by Ludger Duvernay, is the oldest patriotic association in French North America. With branches at one time located throughout the continent, it has long been engaged in fighting the linguistic and identity battles of francophones in North America. Since the 1960s, the SSJB network has played a crucial role in developing and defining contemporary Québec nationalism. The SSJB originated in the patriotic society Aide-toi et le ciel t’aidera (whose name translates to “God Helps Those Who Help Themselves”), founded by Ludger Duvernay in March 1834. Duvernay was the editor of the newspaper La Minerve, which later became the voice of the Parti patriote. Created in a tense political context marked by the adoption of the Ninety-Two Resolutions, the society sought to give the Canadian people a distinct national holiday. 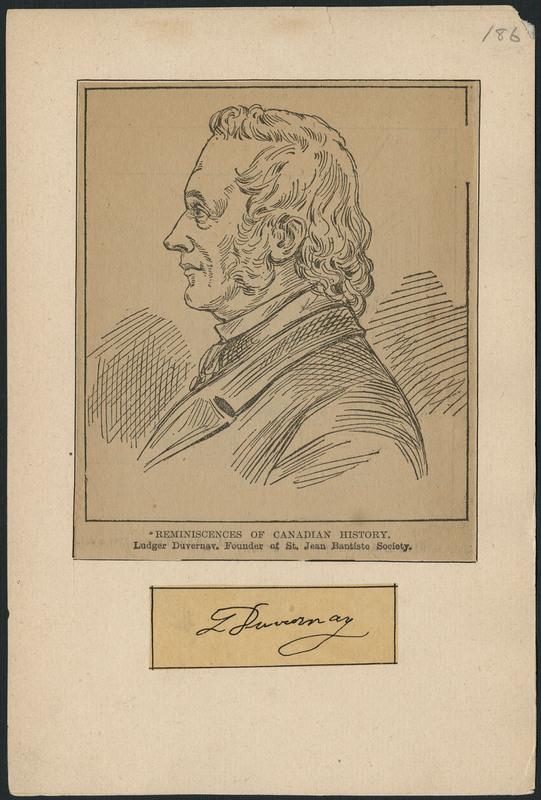 To this end, on 24 June 1834 (Saint John the Baptist’s Day), a banquet was held for 60 francophone and anglophone guests, including Louis-Hippolyte LaFontaine, George-Étienne Cartier, Edmund O’Callaghan (editor of the newspaper The Vindicator) and the mayor of Montréal, Jacques Viger, who presided over the republican-inspired celebration. This event is generally considered the founding moment of the SSJB in Montréal, even if it is more accurate to situate the organization’s founding within the following decade. 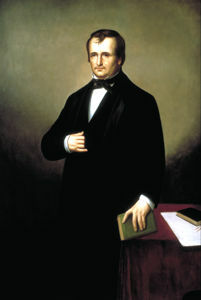 Sir Louis-Hippolyte LaFontaine, joint premier of the Province of Canada, 1848-51, oil on canvas, by June Forbes McCormack (courtesy Government of Ontario Art Collection). 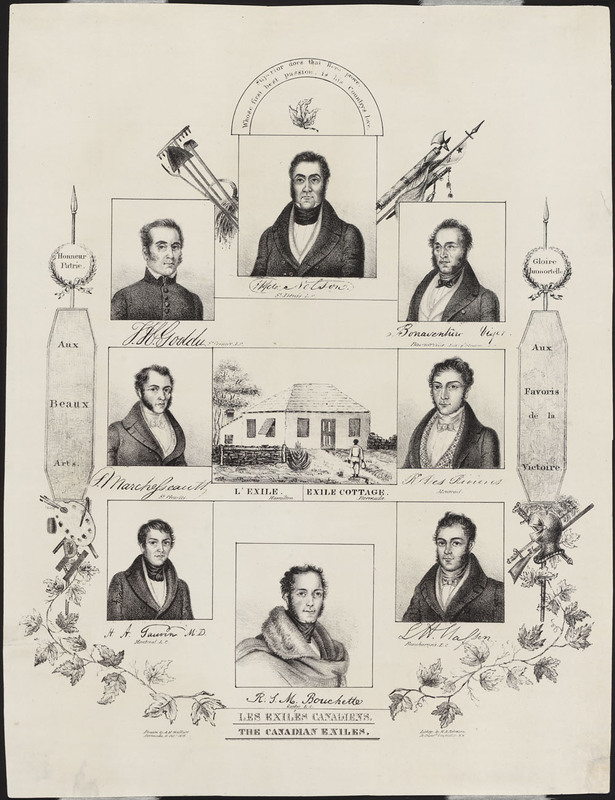 The Canadian Exiles, depicted in the print are portraits of Robert Shore Milnes Bouchette, Bonaventure Viger, Dr. Wolfred Nelson, Rodolphe des Riviéres, Dr. Henri Alphonse Gauvin, Siméon Marchessault, Toussaint-Hubért Goddu and Luc-Hyacinte Masson. A view of the exiles' cottage in Bermuda is also depicted in the print, Artist: A.H. Wallace, ca. 1838. After the rebellions of 1837–38, this patriotic society ceased all activity, but the idea of creating a national holiday persisted. Under the leadership of the clergy, Saint-Jean-Baptiste Day was revived. Mgr. 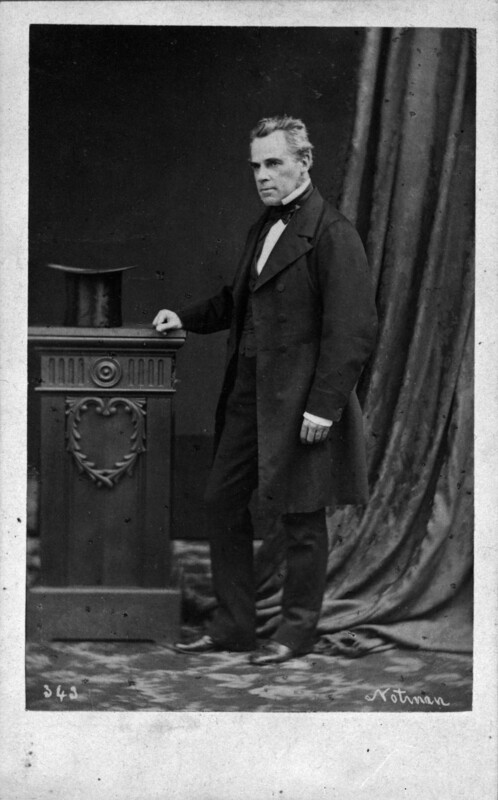 Ignace Bourget sought to build a “moral nation” and to make French Canadians the standard bearers of the values of mutual aid and temperance on North American soil. It was in this context that the organization resurfaced. 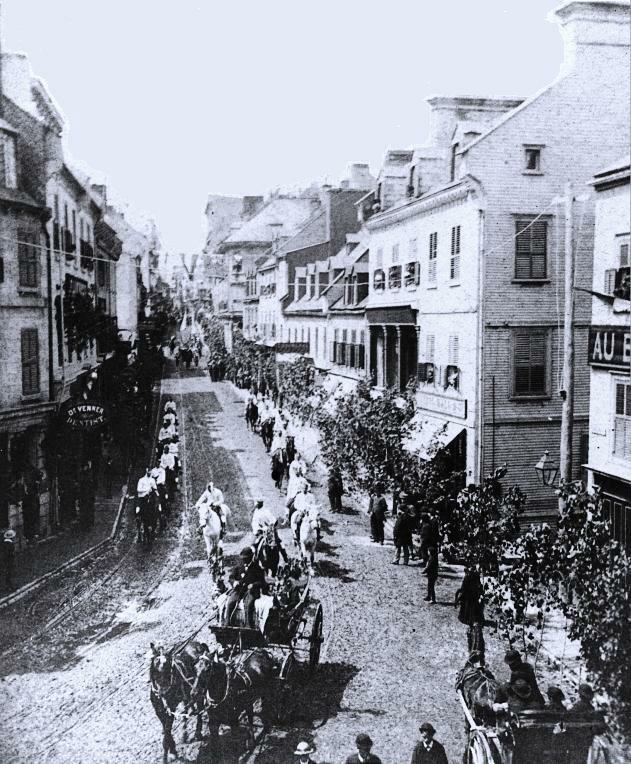 In June 1842, this time in Québec City, the Société Saint-Jean-Baptiste was founded by Napoléon Aubin and Pierre-Martial Bardy with the goal of promoting, by all legal and legitimate means, the national, industrial and social interests of the people of Canada and, in particular, of Québec City. 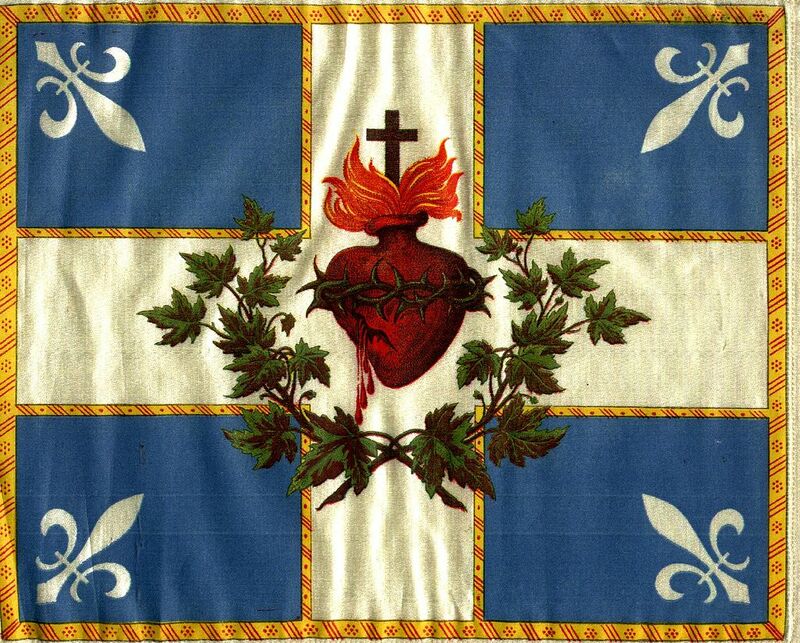 The following year, on 9 June 1843, Duvernay founded the Association Saint-Jean-Baptiste in Montréal. The two organizations were merged by an Act of Parliament in 1849. Following a number of migration waves that saw French Canadians dispersed throughout the continent (see French in the West), SSJBs were set up in francophone parishes. As a result, there were SSJBs in New York (1850), Ottawa (1852), Detroit (1864), St. Boniface (1871), Calgary (1888) and Edmonton (1894). For the most part, these societies focused their efforts on charity and mutual aid. They established death benefit funds and support services, with the aim of strengthening the bonds of solidarity among francophones in minority situations. To this end, the American SSJBs merged in 1900 to form the Union Saint-Jean-Baptiste d’Amérique. This network of SSJBs, made up of parish and diocese branches, contributed to upholding Catholic fervour at a time when language and faith were inseparable. 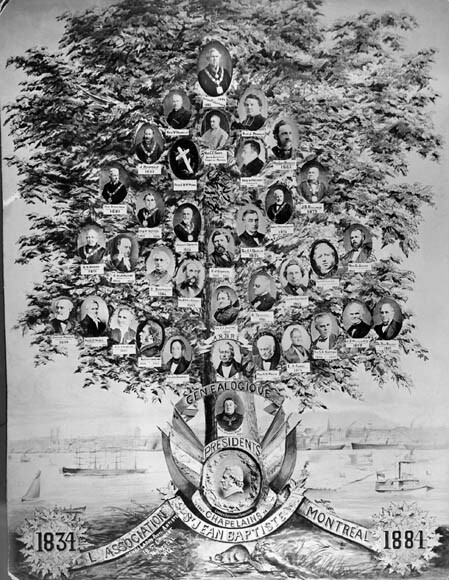 With a view to affirming the unity of the “French Canadian family,” the SSJB organized large patriotic conventions that attracted delegates from SSJBs outside of Québec. 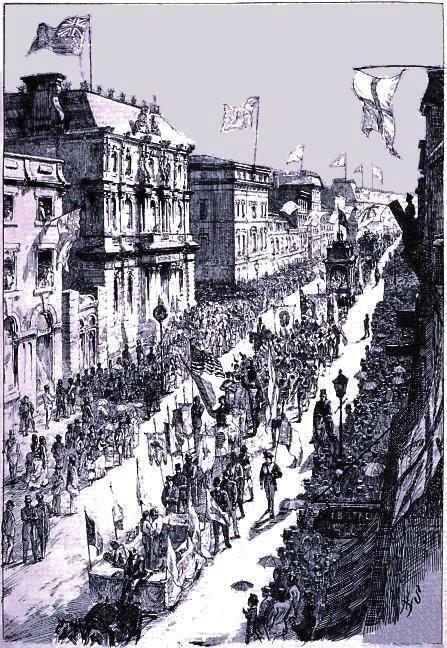 At meetings held in Montréal (1874, 1884), Québec City (1880), and Windsor (1883), the participants adopted resolutions, delivered speeches and celebrated Saint-Jean-Baptiste Day in style. 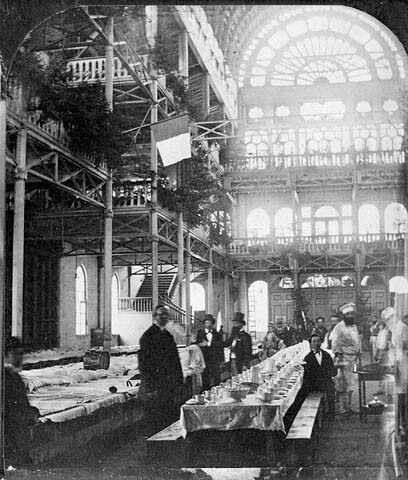 In 1874, at the first General Conference of French Canadians, close to 400 delegates participated in debates on education, colonization and immigration. Above all, the SSJB was an organization rooted in patriotic education and concerned with looking at current problems in order to rectify them. National symbols, principally the maple leaf and the beaver (see Emblems of Canada), were also promoted at the conventions. In fact, it was at the convention in Québec City, on 24 June 1888, that “O Canada” was struck up for the first time. In addition to organizing large gatherings and overseeing annual Saint-Jean-Baptiste Day festivities, the SSJB created various literary and cultural works to promote using the French language and learning the history of French Canada. It financed the erection of monuments such as the Monument aux Braves — built in Québec City (1860-1863) to pay homage to the soldiers of the Battle of Sainte-Foy, waged in 1760 — and the cross on Mount Royal (1924). In the minds of SSJB leaders, these actions contributed to forging a collective history that foregrounded the key heroes and events to which francophones could feel a connection. 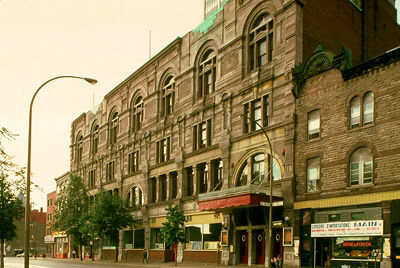 In Montréal, the SSJB built the Monument-National (1893), a cultural centre that has served as society headquarters for 75 years. 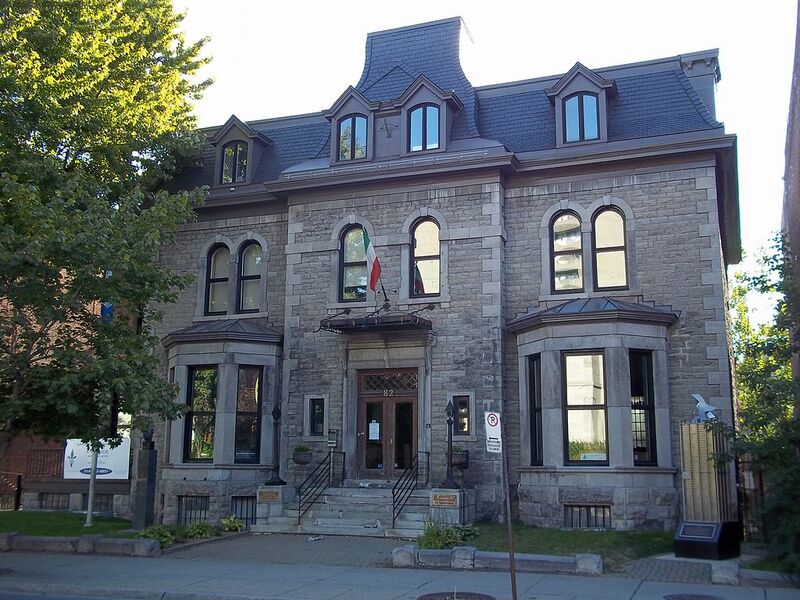 Equally active on the economic front, the SSJB participated in the founding of the Caisse nationale d’économie (national credit union) in 1899 and the Société nationale de fiducie (national trust company) in 1918. 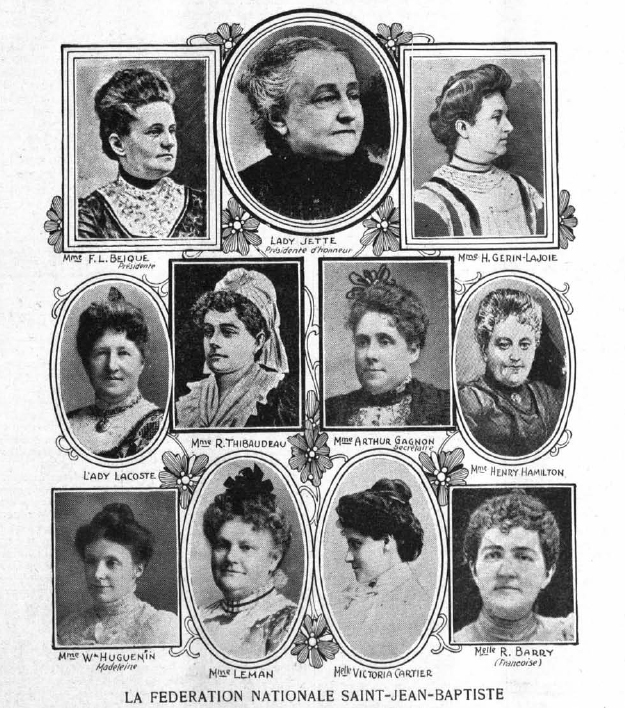 In 1907, the society also headed up the establishment of the Fédération nationale Saint-Jean-Baptiste, a first-wave feminist association (see Early Women’s Movements in Canada: 1867–1960). From left to right. Top : Caroline Dessaulles-Béique, Lady Jetté, Marie Lacoste Gérin-Lajoie. Middle : Marie-Louise Globensky (Lady Lacoste), Marguerite Thibaudeau, Mme Arthur Gagnon, Mme Henry Hamilton. Bottom : Anne-Marie Huguenin (Madeleine), Mme Leman, Victoria Cartier, Robertine Barry. In the midst of the nationalist revival of the early 1920s and as a result of the crises of conscription and of Regulation 17 (see Ontario Schools Question), the SSJB of Montréal launched a campaign to have Saint-Jean-Baptiste Day recognized as a public holiday. This goal was accomplished in February 1925, when the legislature adopted a bill sponsored by National Assembly member Ernest Tétreault. 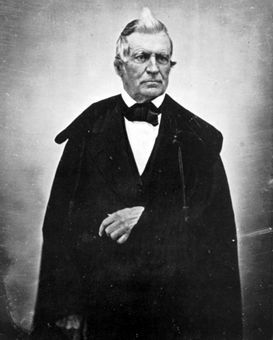 The SSJB of Montréal was also responsible for taking the initiative to forge bonds with French Canadian minorities outside of Québec. 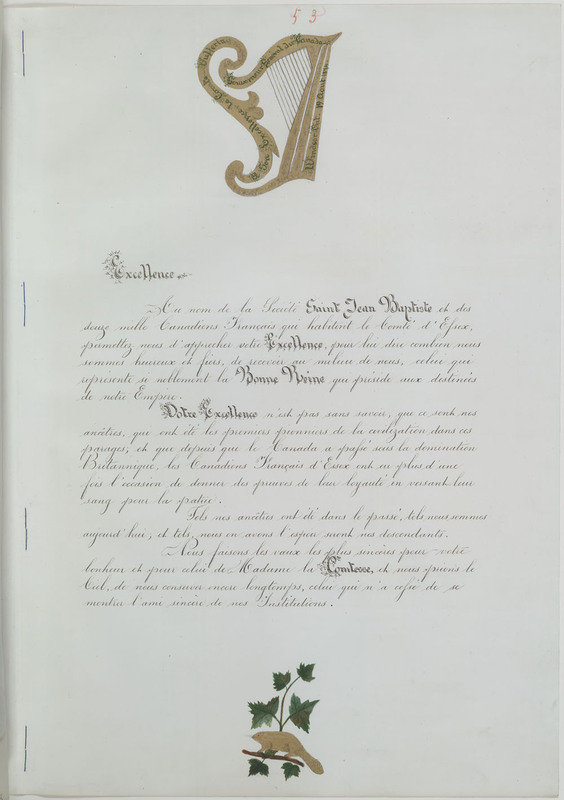 Under the leadership of Olivar Asselin, the society lent its support to francophones who had been denied the right to an education in their language as a result of the adoption of Regulation 17. The launch of the Sou de la pensée française[penny for your French thoughts] fundraising effort allowed the society to provide assistance to these francophones. Revisited on several occasions, this effort served to finance various initiatives outside of Québec, including the creation of Radio-Ouest-Françaisein 1946. The idea of federating all of the SSJBs under the same banner was proposed in 1909, but nothing came of it at that time. The idea resurfaced in the 1930s, however, when the SSJB of Montréal brought together delegates from Québec and Ontario at its headquarters to tackle the issues of the day. An SSJB of Canada existed, actually, but its powers were limited, and its activities did not extend beyond holding conferences and study days. Instead, it was at the provincial level that the project took hold. In March 1939, the Ontario SSJBs merged to form the Fédération des sociétés Saint-Jean-Baptiste de l’Ontario, which became a government mouthpiece for cultural and linguistic issues. When it was founded, the federation consisted of 12 affiliated societies and 5,000 members. It undertook campaigns to re-establish the use of French and intervened with the authorities to obtain radio and television stations for the francophone population. Alongside the Association canadienne-française d’éducation de l’Ontario (see Assemblée de la francophonie de l’Ontario), the federation participated in the effort to increase accessibility to and financing of French language high schools in the 1960s. 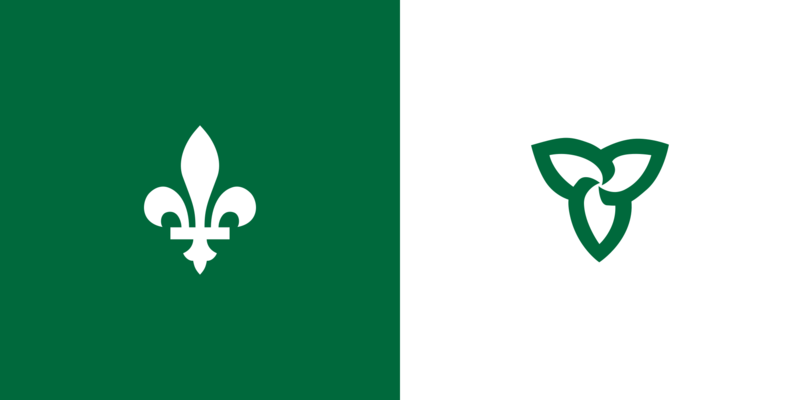 The federation was also the driving force behind the first project to create a Franco-Ontarian flag. Starting in the 1970s, because of the sovereigntist posture of the SSJB in Québec, the federation’s importance faded into the background of the Franco-Ontarian political landscape. The SSJBs of western Canada suffered the same fate at that time: in Calgary, the local SSJB merged with the Club françaisto become the Société Franco-Canadienne (1970), and the Winnipeg branch closed its doors in 1975. Perhaps the only exception was the SSJB of La Broquerie, in Manitoba, which has been organizing Saint-Jean-Baptiste Day festivities since 1897. It was not until 1947 that the Fédération des Sociétés Saint-Jean-Baptiste du Québec was founded. It is worth noting that the creation of this Québec-based federation did not signal a schism in the larger movement to create a French Canadian nation, as the Ontario and Québec federations were committed to the same cause and had adopted similar symbols and a similar visual identity. Their political agenda was also basically the same, with both federations supporting Québec autonomy and demanding more services in French from the federal government. Moreover, throughout the 1950s, both federations experienced a period of growth, establishing new regional sections and permanent secretariats. As a result, the Fédération des Sociétés Saint-Jean-Baptiste du Québec saw an upsurge in its membership, growing from 35,000 to some 200,000 members in 1960 alone. Acting as an intermediary between civil society and the state, the SSJB was seen as the voice of French Canadians and drew its legitimacy from its rich history and from the impressive number of members it attracted. 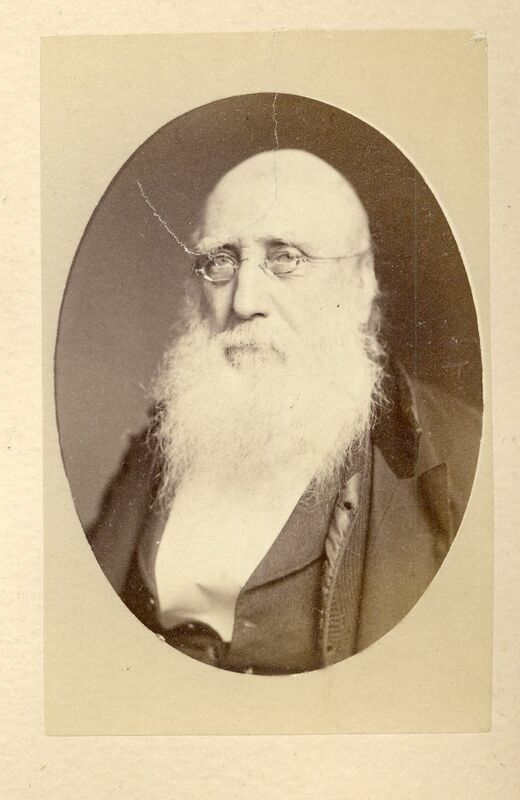 Wanting to ensure the leadership of the French Canadian nation, the SSJB recruited at the vanguard of the battle for nationhood, mobilizing these members and alerting them to political issues by means of a training program, annual conventions and various briefs presented to political authorities. The Québec federation changed the focus of its activities during the 1960s. In the spirit of the Quiet Revolution, it challenged those in power on the issue of the economic development and expansion of the Québécois state. Abandoning the traditionalist discourse on survival and symbols, it embraced a territorialized and political Québécois nationalism. In 1961, in response to the emerging consitutional question, the federation organized the Estates General of French Canada, which were held from 1966 to 1969. The federation was also one of the first organizations in civil society to recognize Québec’s right to self-determination (1962). The various societies affiliated with the federation also took positions on this question: in 1964, the SSJB of Montréal proposed a new union of Québec and Canada, whereas the Québec City branch favoured a special status for Québec within Canada. In 1969, the federation landed squarely in favour of Québec sovereignty, leading some branches — namely those that had remained federalist — to disaffiliate. As a result, the federation changed its identity and became the Mouvement national des Québécois (MNQ). 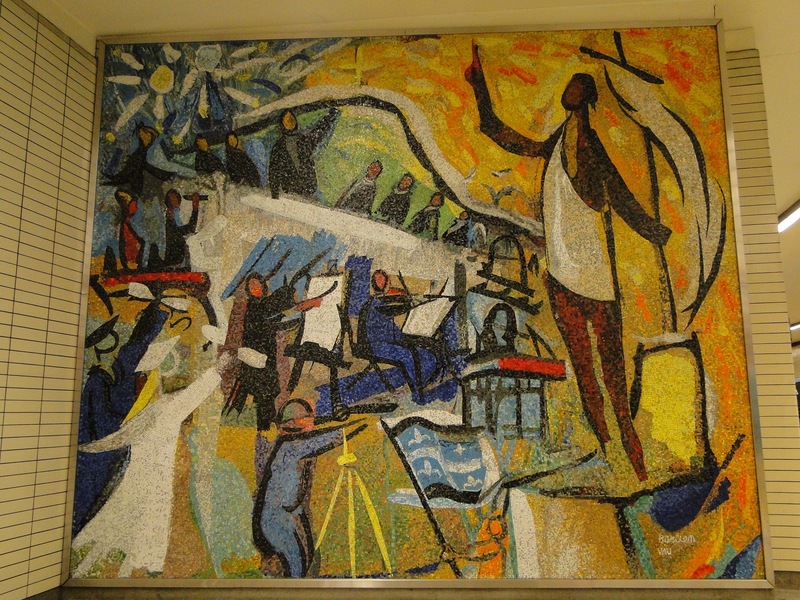 Mosaic by Gabriel Bastien and Andrea Vau (1969). It depicts the founding banquet of the Société Saint-Jean-Baptiste, surrounded by images representing some of the society's accomplishments. It was also in the 1960s that the SSJB enshrined the principle of French unilingualism in the province of Québec (1963). Following the 1968 crisis in the schools of Saint-Léonard, the federation, along with the SSJB of Montréal, started two coalitions of civil society organizations — the Front commun du Québec français(1969) and the Mouvement Québec français(1971) — to urge the Québec government to adopt a legislative policy whereby French would officially be the default language of the government and the workplace. As the first Québec referendum on sovereignty-association approached in 1980, the MNQ pressed the Québec government to hold a constituent assembly in order to draft a constitution for Québec. After the Yes side failed to win the referendum, the MNQ and its affiliated societies opposed the patriation of the Constitution as well as the restrictions that the courts had placed on the scope of the Charte de la langue française (French language charter), known as Bill 101. 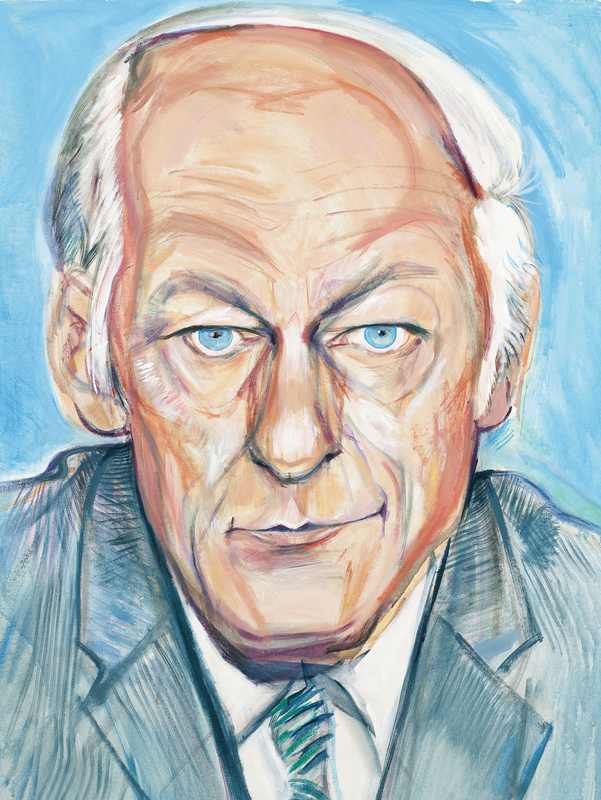 The MNQ also pressured René Lévesque’s government to adopt a public policy on the national holiday for Québec. Since 1984, the MNQ has coordinated the June 24th festivities on behalf of the government of Québec. Throughout the 1990s, the MNQ (now known as the Mouvement national des Québécoises et Québécois) and its affiliated societies were particularly active in regional commissions on the future of Québec. They also campaigned for the sovereigntist side during the second Québec referendum (1995). At the turn of the millennium, the MNQ campaigned against Bill C-20, known as the Clarity Act. Now encompassing 19 affiliated societies, the MNQ continues to promote Québécois identity, language, history and culture. 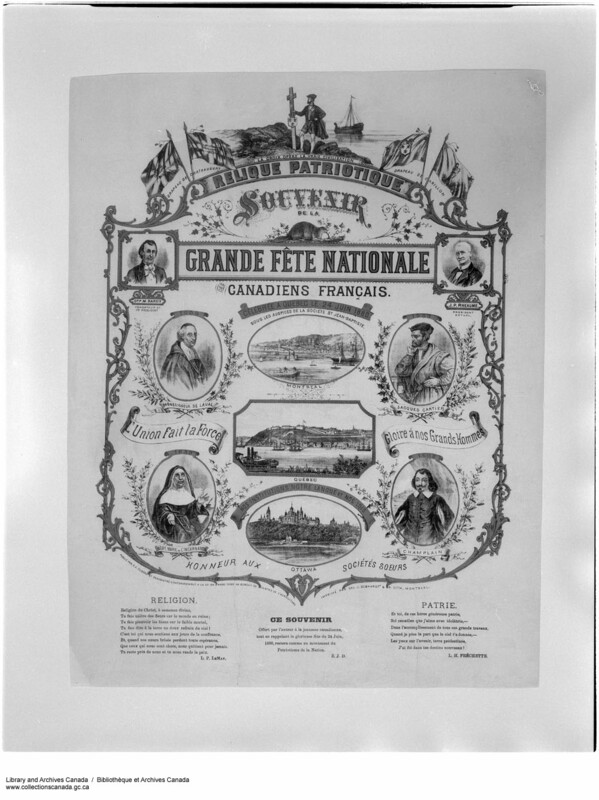 Since 2002, it has organized, among other activities, events for the Journée nationale des patriotes(national patriots day), which in Québec is celebrated instead of Victoria Day. See also: Francophone Nationalism in Québec; French Canadian Nationalism. Marc-André Gagnon, “Adieu le mouton, salut les Québécois! The Lévesque government and Saint-Jean-Baptiste Day Celebrations, 1976–1984,” in Matthew Hayday and Raymond B. Blake, eds., Celebrating Canada (2017): 356–379. Marc-André Gagnon, “‘Dès qu’on prononce le mot Saint-Jean-Baptiste, ça fait fuir le monde à Ottawa’ : la fête nationale des Canadiens français et les lendemains de la ‘rupture,’ 1960-1990” in Jean-François Laniel and Joseph Yvon Thériault, eds., Retour sur les États généraux du Canada français. Continuités et ruptures d’un projet national (2016): 143‒166. Marc-André Gagnon, “Le Canada français vit par ses œuvres : la Saint-Jean-Baptiste vue par le journal Le Droit, 1950-1960,” Francophonies d’Amérique, no 35 (Spring 2013): 79‒92. Marc-André Gagnon, “Édifier l’État québécois : la transformation du discours public au sein de la Fédération des Sociétés Saint-Jean-Baptiste du Québec, 1947-1962” Bulletin d’histoire politique, vol. 19, no 3 (Spring 2011): 161‒169.